Aloe Vera Gel with Oil Dittany & Lavender Bioaroma was added to your shopping cart. Aloe gel with Lavender and Ditany Oils suitable for hydration, face, body, burns and insect bites. 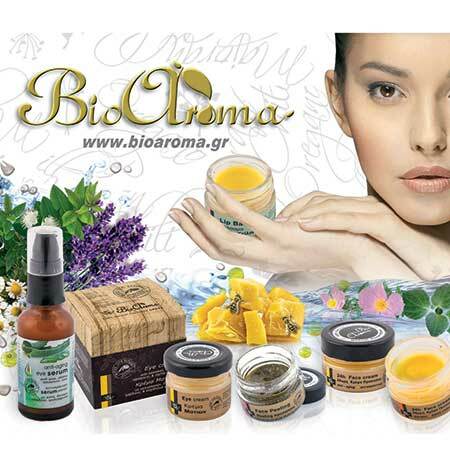 Aloe gel Bioaroma is suitable for deep hydration for face and body with rich healing action. Diktamos essential oil is mixed in gel to enhance the healing and firming effect, while Lavender essential oil for soothing action, useful in intense irritation and redness of the skin. Ideal for external use in burns, especially from sun and insect bites. Cools and dries immediately. Use: Aloe gel Bioaroma can be combined with all face and body creams and beyond the hydration it provides, functions as powder since it dries immediately and leaves a matte finish. Apply minimum quantity of aloe every morning after face cream. It is good to have a cream as a base before applying the aloe because aloe gel dries and leaves a feeling of pulling.